Now this is a classic food adventure. You see, Tropika was one of our usual hangouts during University. Whenever we met up for a "just because" dinner, we'd hit this place up. 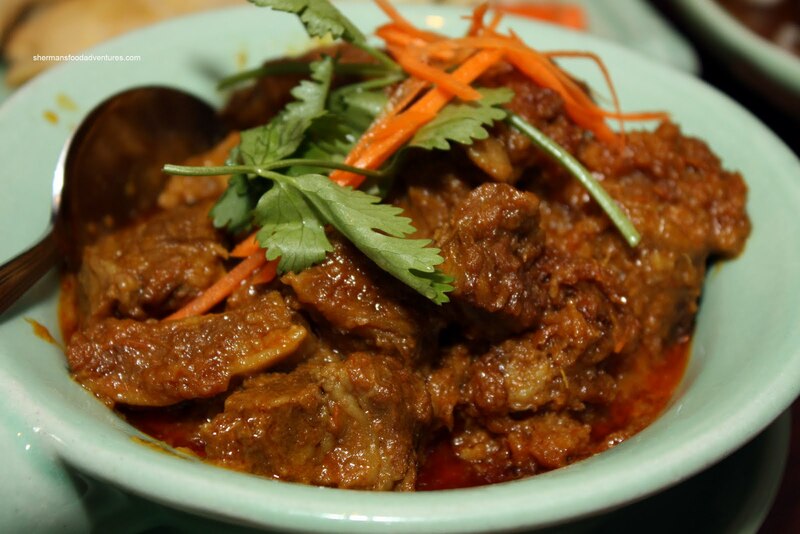 In addition to Banana Leaf, we got our fill of Malay food quite often. Hey it was a great departure from the other usual joints such as Milestones and Cactus Club. 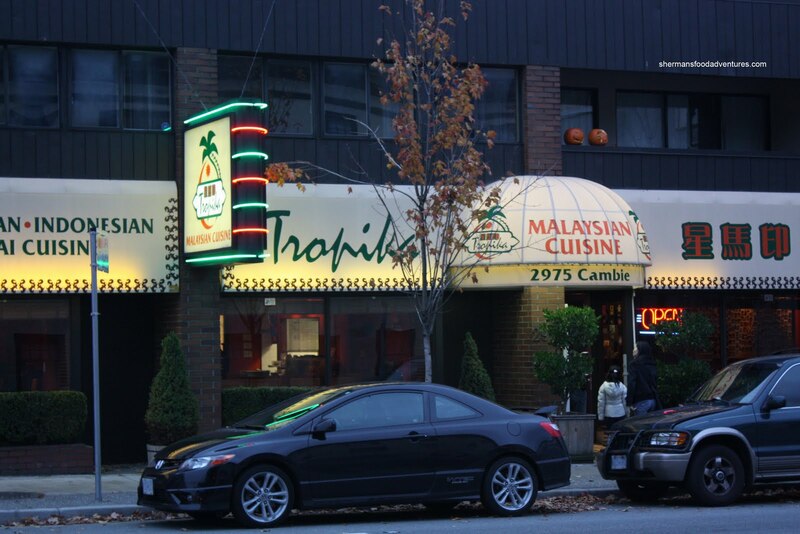 Okay, before the authenticity police sends out a warrant, I fully realize that Tropika is Chinese-owned. But once again, let's have the food speak for itself first. This time around, it was for Guy Smiley's birthday. Since it was 2 days before our Entertainment coupons were set to expire, that w as another reason. We never actually end up saving any money when we use our Entertainment coupons anyways. I always end up ordering 2 extra dishes to make up for the coupons. Thus, we just get more food as a result. Besides, I felt a bit sheepish treating someone and using coupons... 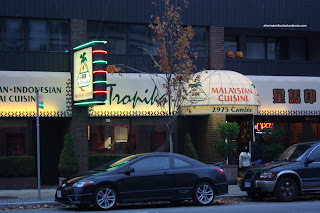 So, we decided on heading over to the original location out on Cambie and 14th since it was closer for the both of us. And it wasn't anything against Richmond this time. I swear! It's funny how things often seem like they're in a time warp . As if it were still in the 90's, the decor and menu items at Tropika seem exactly the same. It's like Viv and I were meeting up with friends on a regular weekend night. Wait, our two kids in tow immediately reminded us that was awhile ago. Instead of 2 free hands, I had a portable booster seat in one and cooler bag in the other. Don't I look cool? Right... So after we sat down, we got down to ordering. While we were doing so, our server was hinting that we were ordering way too much food. That was the intention! 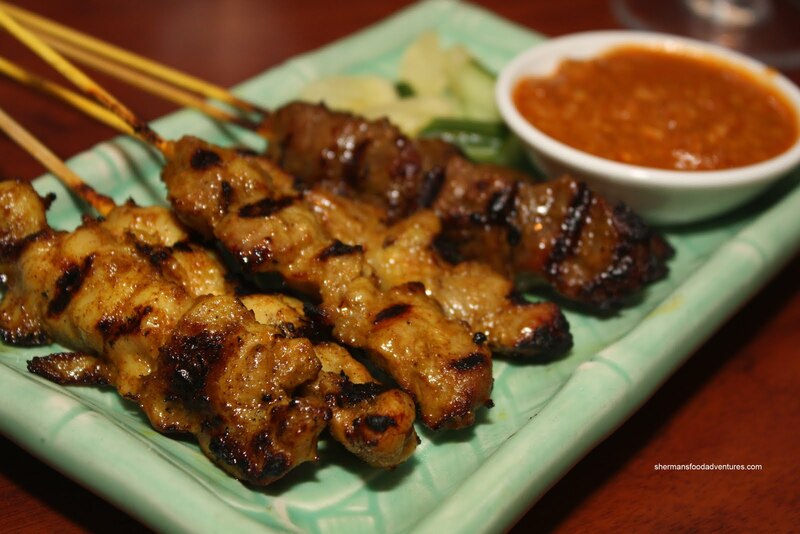 We started with the 2 most popular appetizers - Roti Canai and Satay Skewers. The roti here is very similar to the ones at Banana Leaf. Slightly chewy and relatively loose, these were not oily at all and had a nice crisp exterior. The accompanying curry dip is of the sweeter variety much like Banana Leaf once again. 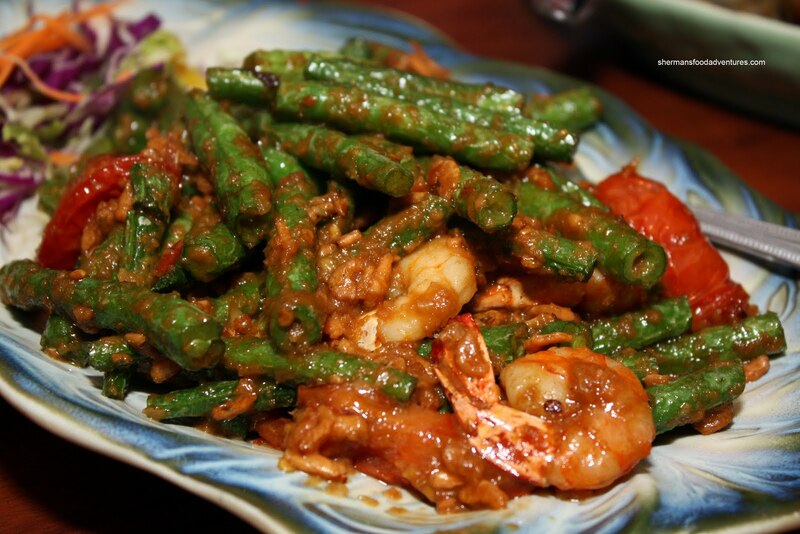 We actually prefer this type more than the actual predominantly curry dip found at other places, such as Bo Laksa's. 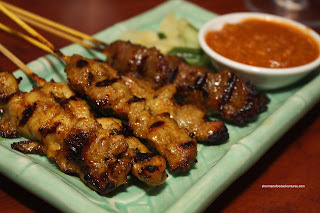 We got one each of the pork, chicken and beef satay skewers and they did what they were supposed to. Tender enough, with lightly sweet curry seasoning and nice charring. Since it was Guy Smiley's birthday, I insisted he pick a dish despite his indifference. Thus, he chose the Sambal Clams being his favourite. 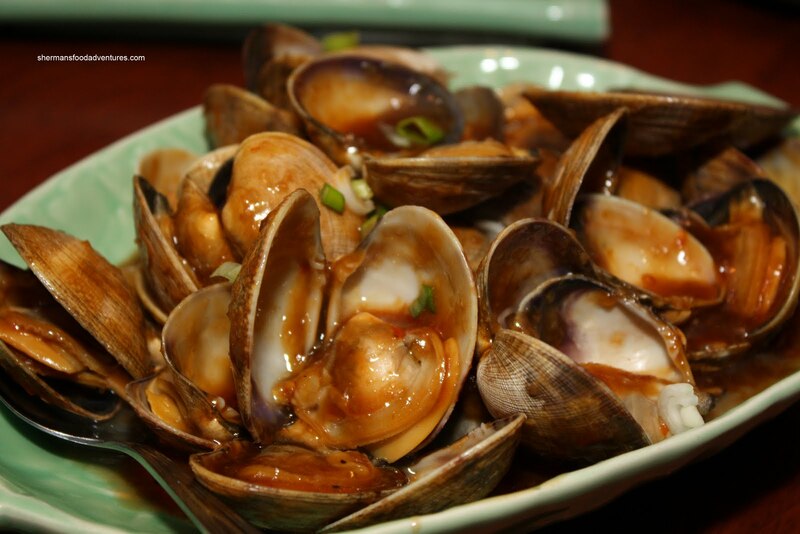 With only a few unopened mollusks, this was a solid dish. The juicy clam meat was accented by a mildly spicy and savoury sauce. Despite not being a Malaysian specialty, we always seem to get the Hainanese Chicken anyways. 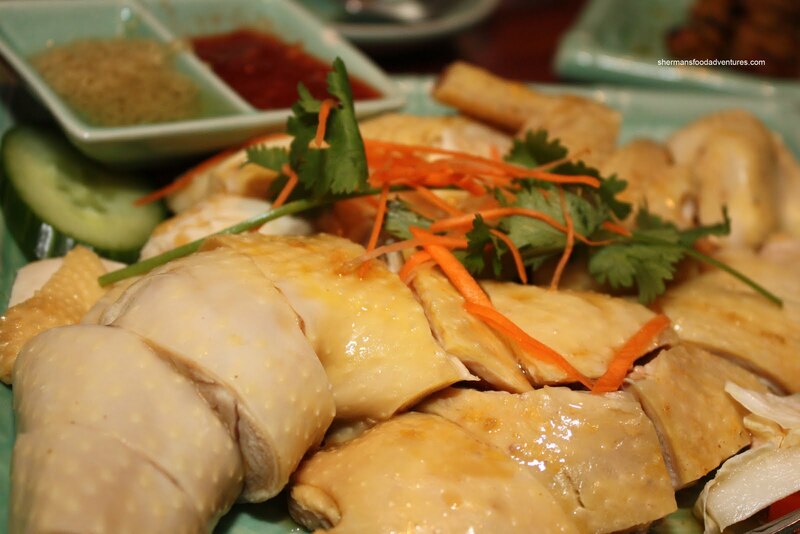 In that sense, it is expected to be nothing like the Singaporean version. Rather, it is of the free-range chicken variety that is not de-boned. No matter, I like both, each with their own qualities. The one here was prepared well with a nice layer of gelatin underneath the "springy" skin. The meat was moist including the white meat. A better than average attempt. Finally, a classic Malay dish, the Rendang Lembu or Beef Rendang. In terms of overall depth of flavour, I liked the one at Tamarind Hill more; but this one was not bad either. The beef was not too fatty, although there were a number of drier pieces. The sauce had hints of coconut; but was mostly dominated by the chili spices. It wasn't hot by any stretch of the imagination; however, it was very evident. Our next dish was one of the specials on the menu board. 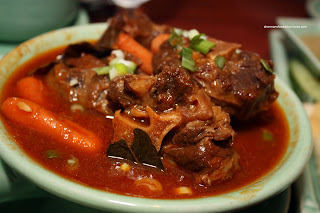 The Oxtail Stew seemed interesting, so we decided to give it a go. We liked the tender oxtail meat which still retained a good amount of meat texture. However, we were not that impressed with the stewing liquid. It was very sweet with little other apparent flavours. We could see it was tomato-based; yet failed to get any impact. A one-note dish. From one-note to very flavourful were the Sambal Bunchies. 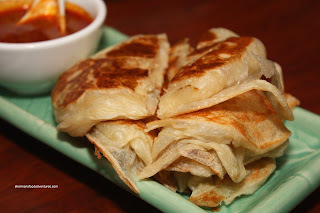 We get this every time at any Malay restaurant since it's Viv's favourite. Comparatively, this version was generally not lacking in the flavour department. So much so, maybe a bit too much. Sure, green beans need to be seasoned aggressively since the flavour doesn't really "stick". However, it ended up being quite sweet with big hits of belacan and dried shrimp. The beans were slightly on the overcooked (or should I say overfried) side. Went well with rice though. Alright, the next dish is something that I personally like even though it was never all that popular with my friends when I always ordered it. The Tropika Homestyle Chicken is essentially fried chicken with a spice rub consisting of coriander, cinnamon, cumin and anise. It is very obvious that there is anise since the licorice flavour really comes out. But the one issue that I can see about this chicken is that once again, it is predominantly sweet. It almost drowns out the other spices. With that being said, the chicken remains tender. Our last dish was mainly for the kiddies and in no way would I order this for myself. 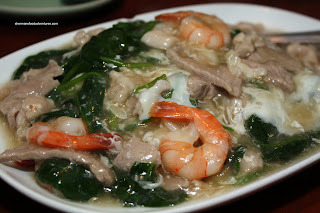 The Char Hor Fun consists of fried flat rice noodles with enough sauce to drown in. This dish is bland and devoid of any texture. Not Tropika's fault in that respect because it has been like this everywhere I've ordered it. With that in mind, the rice noodles were horribly overcooked here, disintegrating on contact. Alright, I gotta admit the food in general is only okay. But for some odd reason, I don't mind it. I really can't explain it. Could it be habit or even nostalgia? Not sure. I do know that it is predictable and reasonably-priced for the portion size. In a way, it's "safe" Malaysian food. You can see that in the clientele. Whatever the case, you could do better at other places; but Tropika does the job if expectations are not high. there are just some places you feel at home in, and it doesn't matter if the food is brilliant or not, as long as it is edible. Tropika went down hill about 5-6 years ago, but in the past 2-3 they seem to have bounced back some, larger portions, more consistent quality, while the prices held steady. AI, you got a point there. Personal opinion means a lot when it comes to food. LR, thanks for the offer! Yah, I didn't go to Tropika for 5-6 years because it wasn't very good. It was decent this time around! 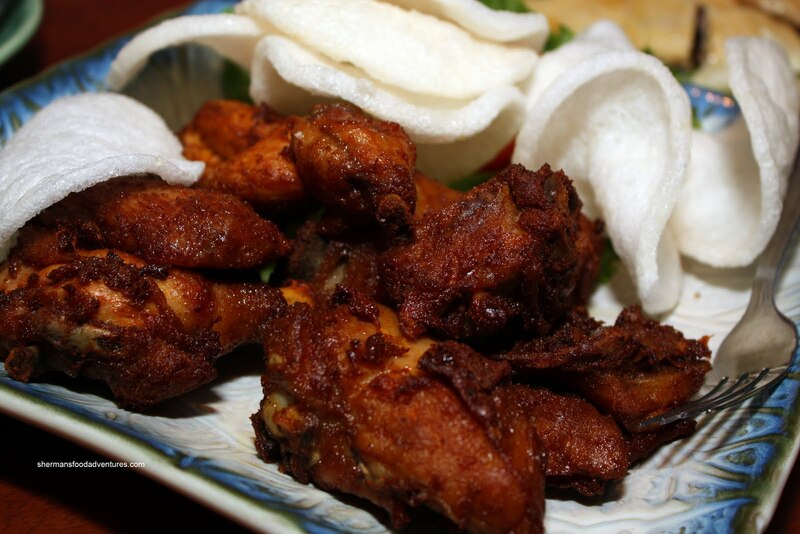 Sherman, you should definitely try this restaurant also located on Cambie St. Its called Balilicious, their food is great and its an Indonesian cuisine since I noticed you havent made any review on Indonesian cuisine. My last visit was with my ex, we had Ikan Bali which is a snapper with Balinese tamarind sauce, we also had the Bakmi goreng and also the spring roll, their Beef Rendang is okay as it is more dry than other Rendang.